Lucille Hedlund and her husband, Clarence, transferred the majority of their assets to their three children in 1991. The same day that Lucille and Clarence transferred the assets to their children, the children created an irrevocable trust, and re-transferred the assets gifted to them by their parents to such trust. The stated purpose of the irrevocable trust was to provide for the support and welfare of the Hedlunds. The trustee could use the income and corpus of the trust to provide support when there were no other funds available and to supplement any funds that Lucille and/or Clarence were entitled to receive as social security and medical assistance benefits. Upon death of the survivor of Lucille and Clarence, any assets remaining in the irrevocable trust were to be divided equally among the children. Seventeen years after the creation of the trust, and after her husband’s death, Lucille was admitted to a skilled nursing home and she applied for Medicaid benefits. The application was denied, per Wis. Stat. § 49.454, which governs the treatment of trusts for Medicaid eligibility purposes. The Department of Health Services denied the application because they determined the assets of the trust were available and therefore Lucille’s assets were in excess of the amount required for eligibility. Lucille argued that the trust was established by her children, not by her, and that it provided for distributions to her only to supplement benefits that she was receiving from the state. She argued she had no ownership interest in the assets used to fund the trust and she had no right to compel a distribution from the trust for the payment of nursing home costs that should be covered by Medicaid and therefore, the denial of Medicaid benefits was in error. The Court of Appeals held that the statute applied where assets of the individual were used to form all or part of the corpus of the trust. The statute did not require that the individual have legal ownership of the assets used to form the trust at the time the trust was formed. This was consistent with another part of the statute which included trusts indirectly established by the applicant when the applicant directed or requested another person to establish the trust using the individual’s assets. What did the Hedlund’s do wrong? Could the trust in question have been structured differently to provide for Lucille’s eligibility? The gifting of the assets to the children followed by the immediate transfer of such assets by the children to a trust for the parents provided the Department of Health Services with a legitimate argument that the trust was established at the direction of the Hedlunds. The timing of the transfer using the same document signed by the parents provides for the argument that the funds were that of the parents and not the children. Had the parents been excluded as beneficiaries of the trust and the timing of the funding of the trust provided for some delay between the gift to the children and the subsequent transfer of the assets to the trust, the Wisconsin statute (and federal law) would have not applied to make the trust available. The trust would have been deemed to be unavailable and Lucille would have been approved for her Medicaid benefits. The trust could have been drafted so the children would have been designated as lifetime as well as death beneficiaries. Upon receiving a distribution from the trust, the child could use such funds for whatever purpose desired, including assisting a parent with his or her needs. The parents would have had no right to compel distributions, so the state should have had no argument that the trust assets would have been available for determining eligibility for Medicaid. Our law firm focuses its practice on elder law and estate planning, including planning to obtain eligibility for Medicaid and VA Aid and Attendance benefits. 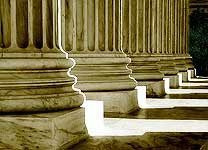 As a member of the exclusive nationwide group of estate planning attorneys, the American Academy of Estate Planning Attorneys (http://www.aaepa.com), the attorneys at our law firm are kept up-to-date on the latest tax developments as they occur and we receive continuing legal education regarding how to plan effectively for these law changes. You can take advantage of our estate planning and administration knowledge by scheduling a free consultation with one of our attorneys for yourself or one of your clients by calling or visiting our website.